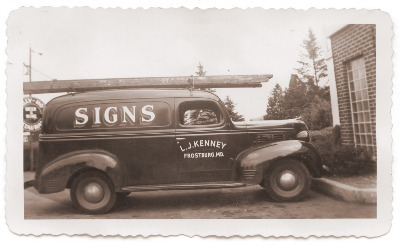 Kenney Signs Inc., established in 1949, specializes in all types of sign design, manufacturing, lettering, graphics, installation, and repair. 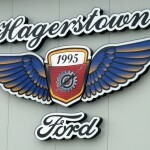 ''We Are A Full Service Sign Company'' serving the entire Maryland, West Virginia, Pennsylvania, and Virginia region. We also manufacture and ship anywhere within the United States. Due to our vast experience, our company offers a virtually unlimited list of capabilities. 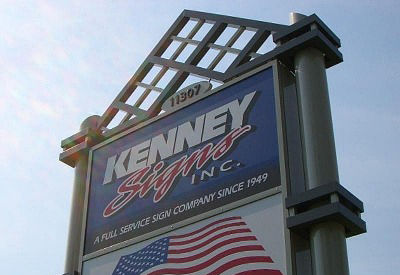 We utilize the highest quality materials and components in the sign industry, apply the latest in technology, and use of equipment. From design - to manufacturing - to installation, we are second to none. We give our customers a powerful resource, and recipe for success. On-site advertising is a key element which is often overlooked, it brings potential customers thru the front door, and if your sign doesn't look good, you don't look good. One of our custom built, eye-catching signs will only help promote the positive identity, and growth of your business!